Canton Federal Criminal Defense Attorney - Oberheiden, P.C. Would you look for a dentist if you need spine surgery? Probably not. Why would you look for just any lawyer or a lawyer that does DUI and assault cases for a living when you need someone that has the experience and the track record to protect your reputation, assets, and freedom against the federal government? Criminal defense and federal criminal defense are two very different things. FBI Search Warrant: No Charges. DEA Controlled Substance Investigation: No Charges. Grand Jury Subpoena: No Charges. FBI Serious Computer Crime Case: Probation. With a consistent rate of avoiding criminal charges in over 90% of federal investigations and impeccable results in federal litigation, clients have described Nick as federal litigation superstar, true lifesaver and simply unrivaled. Others have said that there is no one better and that Nick is the very best. Most importantly, Nick cares. From the moment you call, you will speak to Nick. Nick will not delegate your important case to junior lawyers and no secretary will tell you that Nick is not available. Nick will be available and your call to 866-Hire-Nick will go straight to his cell phone. All communication is between you and Nick. Hiring Wayne County federal criminal defense attorney Nick Oberheiden is the first step in your defense. Many criminal defense lawyers will tell you that initial consultations are free and confidential. Unfortunately, so the report of those clients that switched to Nick, that was more or less the last time they spoke to that lawyer. Experience the absolute opposite: Nick strongly believes that the reason for his success in criminal cases lies in the fact that he truly cares about the client’s side of the story. Nick listens because he knows that the key to a favorable outcome is not the no intent objection that every lawyer wants to make (which bores prosecutors), but the facts of the case themselves. Nick has successfully defended both companies and individuals before the Department of Defense, the Department of Justice, the FBI, the IRS, the DEA, the Office of Inspector General, the Department of Health and Human Services, the Department of Transportation, and the Department of Homeland Security. Including on weekends, Nick is personally standing by to answer your questions. No secretaries, no junior lawyers. Call 866-Hire-Nick to sleep again. If you are under investigation or not sure whether there is a case pending against you, you probably have many questions. Unfortunately, the U.S. Attorney’s Office in Detroit, Michigan and the Eastern District of Michigan, which oversee federal prosecutions in the Charter Township of Canton and throughout Wayne County, have dramatically intensified FBI and DEA case investigations to follow new federal prosecution guidelines. Part of the new reality in Canton, Michigan are arrests, search warrants, target letters, and a plethora of grand jury notices. 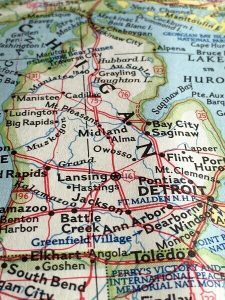 Physicians in Wayne County, Michigan are among the declared targets. Medicare fraud, kickbacks, and opioid fraud and abuse are the dominating themes when it comes to health care fraud allegations in East Michigan. Agents from the DEA, the OIG, and the FBI together with the Medicaid Fraud Control Unit have teamed up to identify outliers, top prescribers, and other seemingly suspicious providers in an effort to fight the national opioid crisis and health care fraud based on computer calculations. Business owners in Canton, Michigan must recognize that the D.C. Justice Department formally instructed all federal prosecutors at the U.S. Attorney’s Office in Detroit (211 W. Fort Street, Suite 2001 in Detroit, Michigan 48226) to aggressively pursue federal prosecutions under the Controlled Substances Act and to seek maximum sentences in all drug and opioid-related cases. These horror scenarios must caution you to choose wisely when it comes to finding a federal criminal defense lawyer that can represent your interests in this climate of prosecution. Today, more than ever, you, a well-recognized and beloved Michigan doctor who serves the community, and you, a Canton citizen with no bad intentions may be the next target. How Do I Know If I Am Under Investigation by the Feds? You know for certain that you are a target of a federal case if you were recently arrested by the U.S. Marshals, the FBI, the DEA, or other federal agencies. You can also be certain if a federal grand jury indicted you for alleged federal offense violations. You must also assume a pending case if your business was subject to a search warrant or was contacted by federal agents for an interview or to serve a grand jury subpoena. Outside of these more obvious events, it is sometimes not entirely clear at the beginning of a case whether there even is a case or whether a pending case involves you or your business. If you have any reason to believe that you may be under investigation or notice something in your immediate environment has strangely changed, you should not hesitate but act immediately to describe the symptoms to an experienced Canton serving attorney. Call 866-Hire-Nick for instant guidance. What Is a Federal Drug Conspiracy? Call 866-Hire-Nick to find out how to effectively defend a federal conspiracy case. In the meantime, do not speak to law enforcement. Additionally, the Law Office of Oberheiden, P.C. offers other types of Criminal Defense Representation.